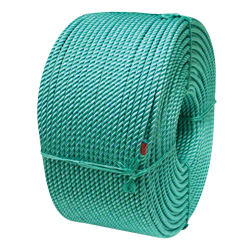 Exclusive to CWC, this hard-lay, high-strength, co-polymer fiber provides excellent abrasion resistance and floats. 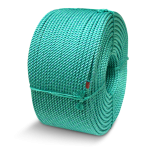 BLUE STEEL&TRADE; rope is 35-40% stronger than polypropylene crab rope with lower stretch. Trademark teal blue with dark blue tracer.